Years are just twelve months during which excellent, and some not that awesome, movies are released. Every film fan greets each new year with a long list of titles that are expected to hit the theatres in the months to come, hopeful to see them all. Sometimes we are into romantic comedies that make us cry and laugh at the same time. Other times we’re into gambling movies that educate us on poker tricks and Blackjack odds, such as The Gambler, The Cooler and Mississippi Grind. After all, how could we know anything about card counting, following basic strategy and casino etiquette if it weren’t for these classics. However, our stressful lifestyles often make us wish to unwind with cool animated movies. Thus, here are a few such titles to look forward to this year. 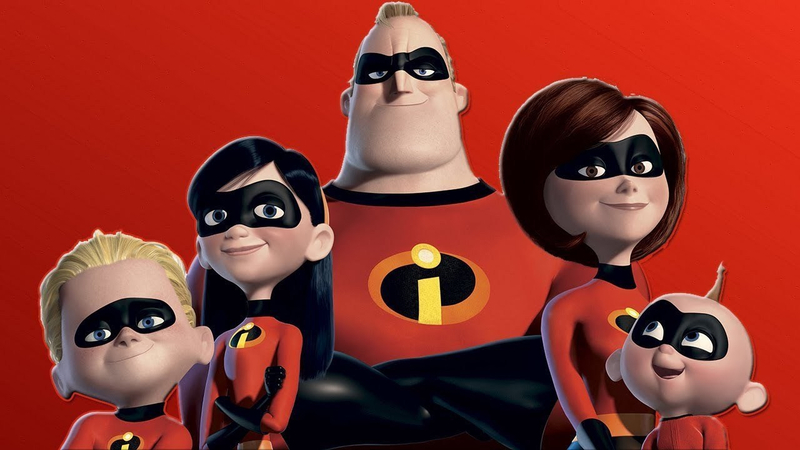 Incredibles has been a huge hit back in 2004 and its sequel is definitely one of the most anticipated animated movies 14 years later. Scheduled to hit UK cinemas on 13 July, Incredibles 2 brings to viewers an amazing 3D superhero film, suitable for the entire family. This release was directed by Brad Bird and stars Holly Hunter, Craig T. Nelson, Sarah Vowell and Samuel L. Jackson. In this adventure, the Parr family will try to lead a regular life, something made impossible by a sinister plot from a brand-new villain. July is often the best month of the year; summer is all upon us, we can enjoy sunny days, vacations and some awesome new movies. This July, we get to see Hotel Transylvania 3: Summer Vacation. Both the first and the second prequel of this franchise were awesome, and we don’t expect anything less than the third either. In this Genndy Tartakovsky film, viewers would probably recognize the voices of Adam Sandler, Selena Gomez, David Spade and Steve Buscemi. Hotel Transylvania 3 takes the adored human-monster family on the Monster Cruise Ship, where they will be hosted by the mysterious captain Erika. Anyone ever wondering what Channing Tatum, James Corden, Zendaya, LeBron James and Gina Rodriguez have in common – it’s an animated movie. Smallfoot is a guaranteed hit that we cannot wait to see thanks to its cast as well as plot. This animated movie tells the story of the Yeti Migo, who believes that mystical creatures called “Smallfoots” exist; for the record, the so-called “Smallfoots” are actually humans! If you like the scenario already don’t worry, you’re certainly not the only one. Sherlock Gnomes and Early Man are two other top picks when it comes to 2018 animated movies. These two, however, have already been released and everyone that hasn’t seen them must do so. Sherlock Gnomes boasts with a strong cast featuring James McAvoy, Emily Blunt and Johnny Depp; this is a sequel to the fan-favourite Gnomeo & Juliet of 2011. Early Man also has lots of stars onboard, including Eddie Redmayne, Tom Hiddleston and Maisie Williams. This stop-motion animated film follows a primitive Stone Age tribe that tries to defend their land from Bronze-using invaders. Sounds cool, right?